This amazingly efficient offer is commercialised by the Saint-Nazaire’s start up Akrocean. The reliability of its seaborne data collection buoy is a perfect answer to the wind power industry’s demand. As a matter of fact, it has just won the 2018 Energy Transition Award of the “L’Usine Nouvelle” magazine, in the Technologies category. « We are making the difference thanks to the hybrid technology developed by our partner Geps Techno, said Matthieu Blandin, Akrocean’s operational director. 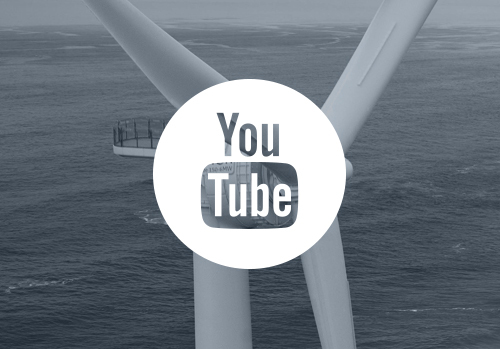 Offshore wind power operators are obviously highly interested in data on winds and currents and on the acoustic and physicochemical nature of the environment typical of sites where they intend to conduct long-term operations. This is exactly what our offer to them is about, whatever the location of their project ». 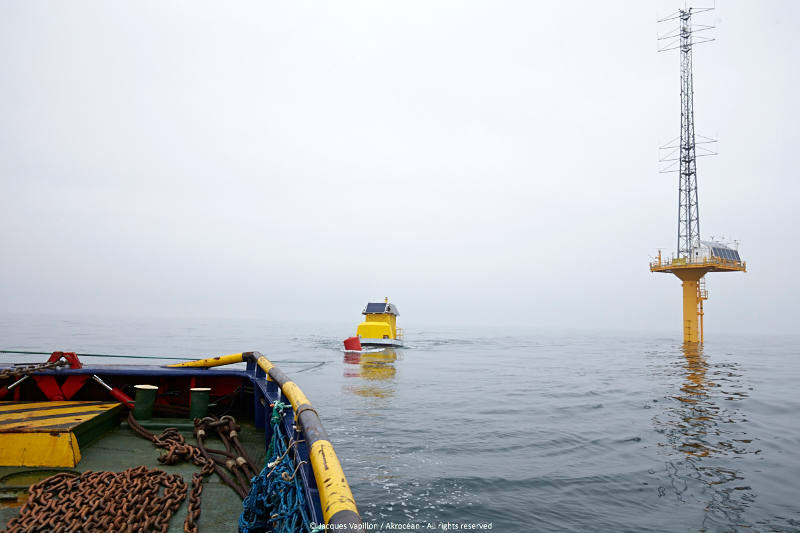 The buoy developed by Akrocean, indeed, outmatches the offer of traditional wind measuring towers, limited to small depths, by using an efficient combination of technologies. 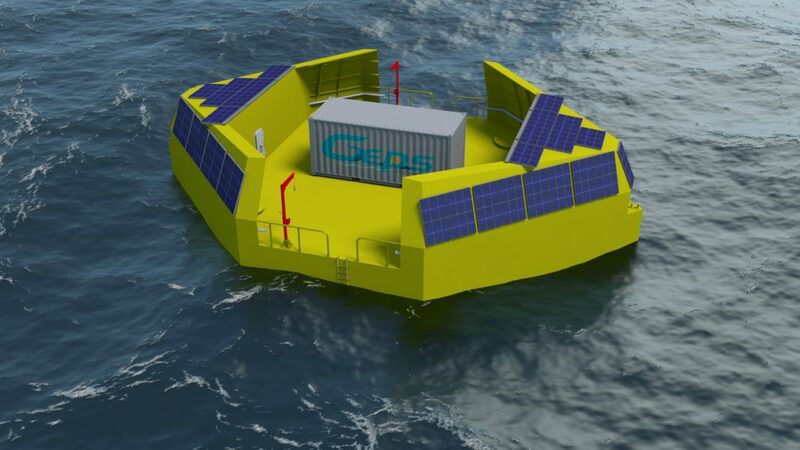 It is energy self-sufficient, as it is powered by both solar panels and wave energy turbines complemented, if required, by a methanol fuel cell. An efficient and… economically attractive combination. 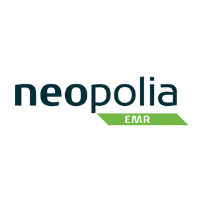 « This technology using renewable energies only allows us to guarantee real collection stability and data availability ». The solar/wage energy mix was certainly the only possible combination to create conditions for energy self-sufficiency at sea, and the reliability of Akrocean’s offer is a demonstration of the commercial potential thereof. Created in 2017 by the engineering company Geps Techno and the wind power maintenance specialist Valemo, Akrocean, which has two employees, proposes platforms that can be equipped with various measuring instruments and used for any type of offshore project. This offer rapidly seduced the industry. As early as last year, Akrocean won a tender from Météo France for a one-year wind power measuring campaign on the site of the future offshore wind power park off the coast of Oléron. 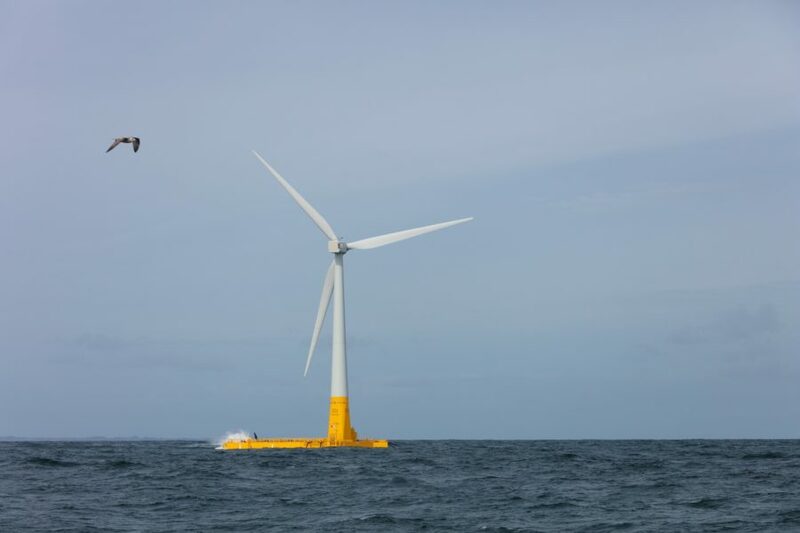 A second platform has just been installed for a six-month wind measuring programme at sea off the city of Fécamp, for a data validation campaign, based on the Carbon Trust roadmap and under the control of DNV-GL. *Akrocean will have a stand with Open Ocean (stand B245) at Seanergy ICOE (June 12-14). Maxime Bellorge, Geps Techno’s project manager and sales representative will be a guest speaker at a conference on techniques using renewable marine energies, on Wednesday, June 13, from 1:30 pm onwards.